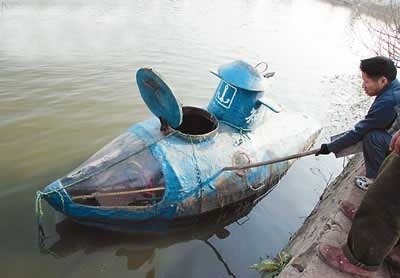 The original source is in Chinese, so I don’t know too much about this homebuilt submarine, other than it was built by a Chinese farmer. On inspection, I doubt it will even submerge; it is probably simply a boat with submarine decoration. I hope I am wrong. It appears on a site with a collection of other homemade vehicles, including a UFO. 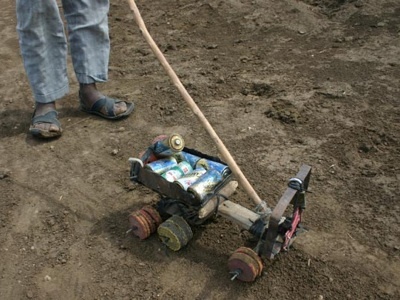 I really find these homemade toys and trucks to be lovely. 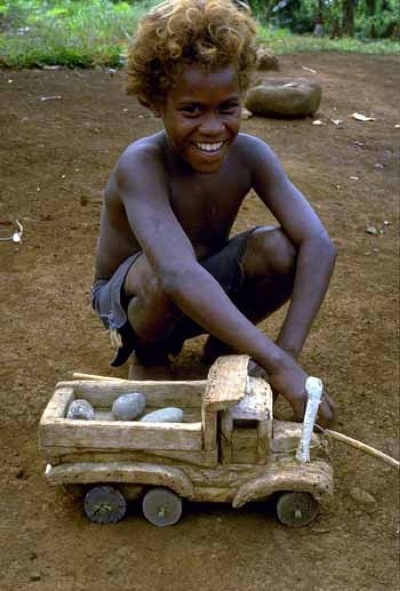 Yet, I know every kid with one of these boy-built toys would trade it in a second for a mass-produced plastic truck. This example comes from the Solomon Islands. 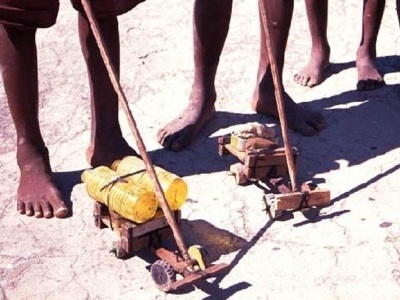 I found the picture on the UNICEF Childrenssite.